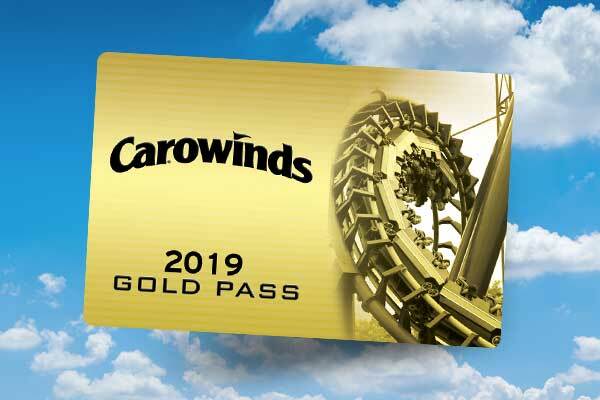 2019 is going to be a season full of new experiences at Carowinds! 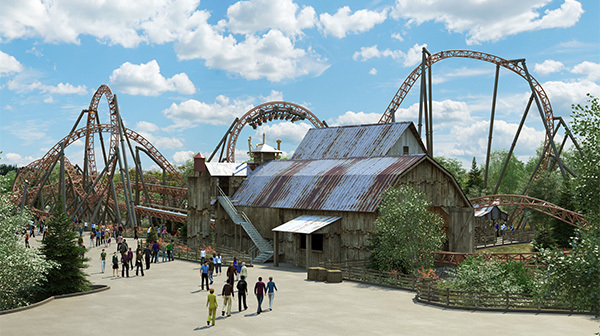 Our new, immersive themed area of the park, Blue Ridge Junction, will serve as the backdrop for all of the new, exciting things coming our way. 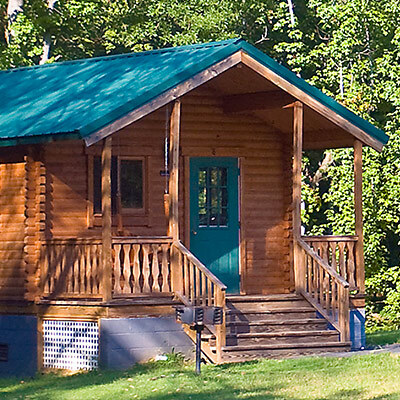 Blue Ridge Junction will allow guests to step into the natural, easy-going culture of the Carolinas’ Blue Ridge Mountains. The majestic landscape, vibrant colors and undeniable charm of the Carolina highlands will be represented through the vibes, eats and experiences of this new area of the park. 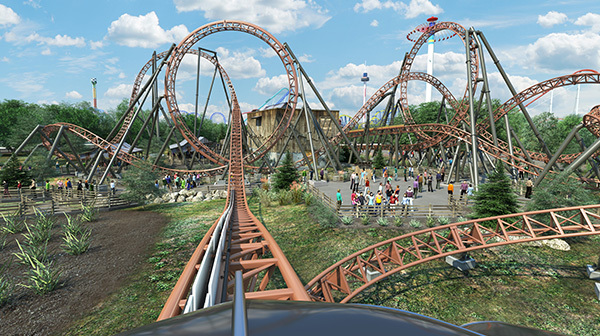 It’s twice the bite on Copperhead Strike, the Carolina’s first double launch coaster! This coaster will give guests a new experience, unlike any other at Carowinds, and serve as the centerpiece of Blue Ridge Junction. 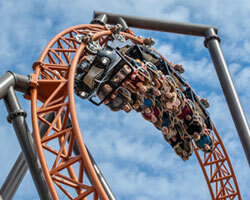 Copperhead Strike has five exhilarating inversions – more than any other double launched coaster in North America! This ride is full throttle all the way, leaving riders breathless, but ready for more after racing through 3,255 feet of steel. During the offseason, Wings will be completely transformed with a new name, new theme and more air-conditioned seating, re-opening as Blue Ridge Country Kitchen. 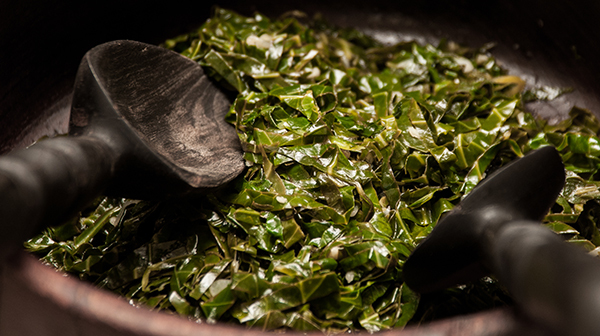 The all-new menu will feature favorites from the mountains of the Carolinas created by our Executive Chef. 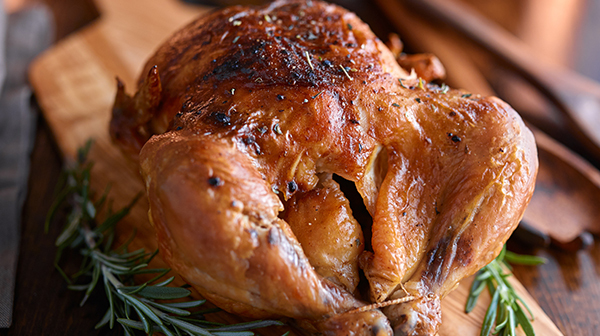 These delectable dishes will include delicious rotisserie chicken and other farm-fresh goodness – sure to please the entire family! 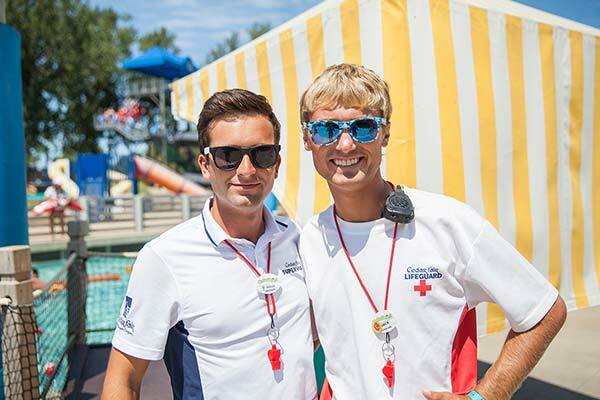 A Carowinds favorite returns in 2019! 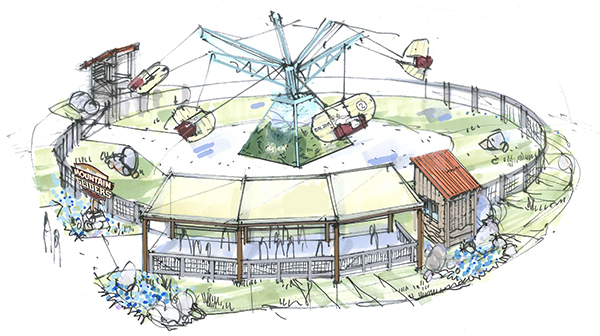 Guests of all ages will have a blast soaring like a bird over Blue Ridge Junction on Mountain Gliders. After boarding one of the unique carriages, you’ll start spinning at a high speed, so much so that you’ll spin outward and rise to 28 feet above the ground. Once in the air, guests will have the ability to operate their carriage’s controls and command the glider’s flight. Whether you explore the high altitudes as if flying above the Blue Ridge Mountains or cruise at a lower elevation in the valleys, the choice – and experience, mild or wild – is up to you. Originally built in 1935 for Coney Island Amusement Park, the ride moved to Kings Island in 1972. The Phantom Flyers opened at Carowinds in 2005. 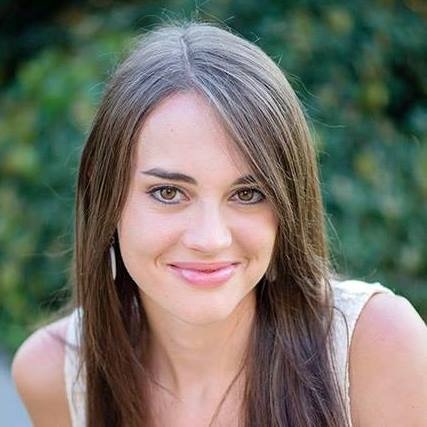 A Woodstock theme took over in 2010. The gliders were removed last season to make way for Camp Snoopy. Get unlimited visits to Blue Ridge Junction with a 2019 Season Pass!